Robbie Withey, who represents Huntly, Strathbogie and Howe of Alford, has highlighted the importance of protecting rural services in the west of the region. At a recent meeting of Aberdeenshire Council’s infrastructure services committee, he welcomed the local authority’s participation in the new North East of Scotland Bus Alliance Quality Partnership. But the Conservative councillor stressed that attention needed to be paid across the whole of Aberdeenshire when reviewing the delivery of bus services. 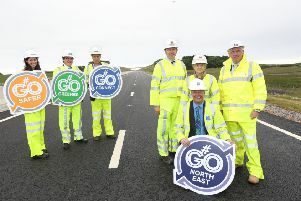 He said: “Under the statutory partnership corridors and programme for delivery, the A96 Aberdeen to Inverurie section is listed as an initial corridor where work is already progressing. 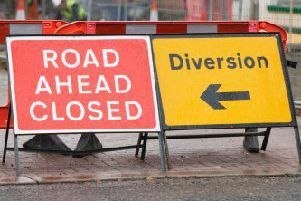 “The same applies for the A944 between Aberdeen and Westhill. “There seems to be no mention of either corridor being looked at once past these two large settlements, not even under the future corridors section. Councillor Withey also pointed to a recent study which was carried out by Scottish Rural Action, suggesting that fewer young people from rural areas are accessing further education because of transport issues.